It's the begining of July meaning the year is half over and more importantly, time to do my second check in with my New Years Resolutions. This one I'm still working on. We all have food ideas in our head (burgers and fries, pizza and beer, pizza and wings, etc). I'm currently coming up with a list of these and want to spend time examining how I relate to them and what I can do to fix/change/improve them. I would like to post about this every 2 weeks and see how far I can get! I plan on writing a real post about this but me and gluten are not friends. Ever since I have gotten my appendix out, it has been better but l still can't have much gluten at once. However some things-croissants, cheddar cheese soup-will give me a stomach ache but I suffer through. Bread, sweets and tortillas seem to be triggers for me. I plan on exploring how I feel on these products especially because most of the symptoms lessen when I have organic bread products. I have definitely fallen off the wagon on this one especially with weights. Most of it has to do with limiting what I can lift and carry since I got my appendix out. I am going to focus hard on adding weight training and resistance training this quarter. I think it will help immensely with my running. I usually do 3 days of running, 2 days with weights, 1 exclusive day of yoga and 10-15 min of stretching everyday. I would love to blog once a day but I feel like I will run of out stuff to talk about! However, I think 5 days is a good starting point and hopefully I can get into a habit of certain posts (grocery matchups, my healthy eating journey, shopping trips, work out schedule). 5. Start our Disney blog/ be more involved in social media-DONE! I used to be really involved on the DIS boards and I loved it. I decided I missed that part of my life so I'm going to take a big leap and start posting more, meeting more bloggers and going to disney meet ups. I think it'll be good for me! However the Disney blog has slowed-I want to figure out a more consistent schedule. 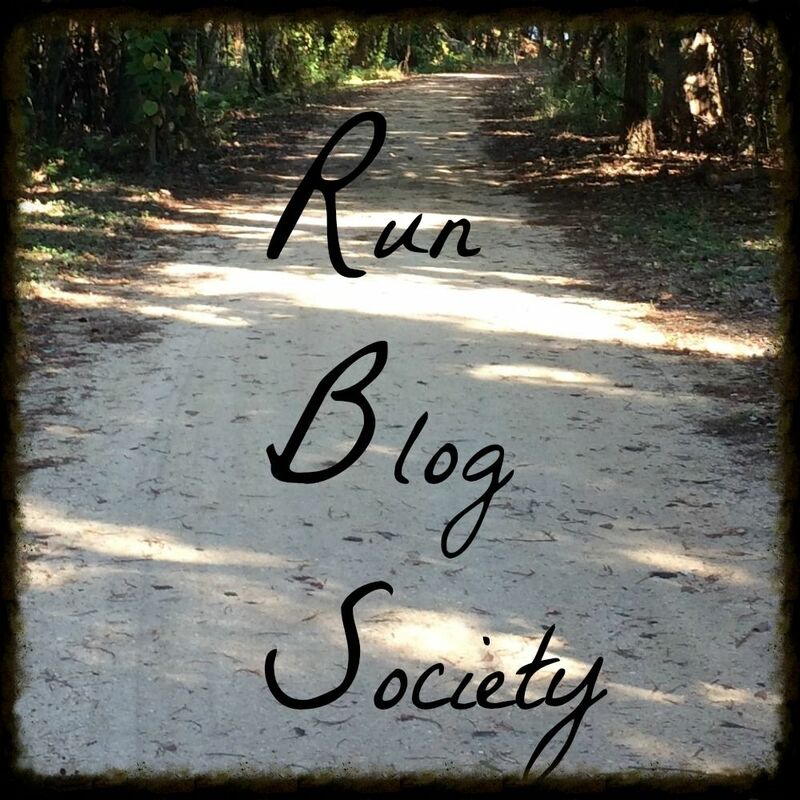 RUNNING RESOLUTIONS-yes it needs to be separate! Switching away from gluten means I need to carb load more natural form of carbs-sweet potato, rice, potatoes, fruit, sugar, etc. I have been doing this for my training runs and it feels great! I can even have some gluten free pasta too. A secondary goal-I want to track my carb intake next time I need to stock up before a training run. I need to approaching 200-300 grams of carbs and I don't think I'm getting close to that yet. 2. Finish my first marathon- DONE! Even though it was not the result I wanted, I am a marathoner. I cannot wait to run Dopey as well as redeem my full performance at the 2015 LA Marathon. I figure they have to get easier just as halves have gotten easier. I guess only time will tell! Ever since I switched to a 30 sec walking interval, my times have improved so much! Working my way up to a 2:30 was great in the spring but increase in temperature and humidity, it has been difficult. When the weather doesn't cooperate-which will be often over the summer-I switch to 2:00 or 2:15 and always feel much better! I would like to play around with intervals more and maybe I can test out different ones soon to see if I can improve my time! I love Disney races and will NEVER PR at one because I take too many pictures (which is not a bad thing, I pay good money to take these pictures and dress up). However I love the LA Rock n Roll as it is very flat and on a route I am very familiar with and have walked many times on my own (ie-from the Coliseum after a football game back to my apartment in graduation school) and feel good on the course. Also, it's halloween themed so costumes are definitely always encouraged! I think the LA rock n roll are my best bet for a 2:30 sub half. I have run a sub 1:10 10 K-Twice! 1:07:09 and 1:02:49. I'm still hoping to score a strong time at the Christmas run in December but it may be challenging as I will have done a simulated Dopey the weekend before but I will still be trying anyway! When I was injured late last year, not stretching was my downfall. I have now switched to a method of rolling and stretching in the morning after my workout and also before I go to bed. I would to insert a good 5 minutes of yoga (sun salutations, downward dogs,etc) as another way to stretch my body as when I feel looser, I feel much better. I promise there is a post coming on this and I have adapted many of them. I want to continue to learn and adapt chi techniques. I have learned to stop using my calves as much while running but my shins still hurt from time to time. (I have adapted the technique of willing pain away-works wonders). I plan on re-reading the workout sections of the books as a way to work on them. I think by the end of the year, I will be a complete chi running convert. So overall, I am slowly working towards my goals! The running goals are going better than the others but it's all still progress. I still can't believe I've run a marathon since my last check in! I have a 10k on Sunday. Woot woot for racing again. When Mallory said she wanted to do a summer 10k for Avengers corral placement, I knew I was in! Especially because it's in culver we can walk to the start line from her place! Even better! As you know, I PRed my last 10k by almost 3 minutes. That was after my LA Marathon training (with less than stellar race performance) so a 10k was easy. I've been pretty off and in low training mode since then including getting my appendix out and a fabulous WDW trip. I really want to do well at this race. I know I can get a better PR since this course will be flat (the hills were definitely alive in Agoura) and want to really shine. I don't think it'll improve my corral placement for Disney but I just want a good time. D (the bottom line): finish-happy and uninjured! How will I meet those goals? Here is my plan. My nutrition has kinda sucked since Disney and I'm getting back on track. This week I plan on eating clean with lots of fruit, veggies, milk and yogurt, eggs, cheese and of course tea and water. Clean food and hydration! Best part of the race! Since trying to go gluten free, I haven't tried this. I plan on eating mostly "natural" carbs like fruit and then on Friday and Saturday have pasta and my ultimate pre race breakfast of a sweetened coffee and a rye bagel with sun dried tomato cream cheese! The morning of the race I am going to eat oatmeal, banana with peanut butter and English breakfast tea. I love seeing how fast I can go and see where I am going but my shins kill after multiple fast days. My goal is to slow my speed a bit this week so I will be in good shape for Sunday. On my regular runs, I take no fuel. I take a sip of water and head out the door. Before the race, I plan on taking a shot blok or 2 and then a clif shot at the half way point. I need to make sure I am loose and limber. I have been stretching all week and will continue until Friday and Saturday where my roller will be my best friend. I have fallen out of the habit (mainly because I forgot) but I think it would help immensely to get in good stretching before runs. My goal is 7.5-8 hours of sleep. In bed at 10, up at 630 for the week. I know I'm still lacking sleep from Disney and want to be well rested. It has been hard so far this week because I'm swamped at work but I will keep trying. I love drinking wine but this week will be NONE. I want to be fresh for Sunday. Overall, I'm excited for this race and think it will be fun! I'll be heading to Culver on Saturday so we can go to the expo and sleep in on Sunday morning. Race starts at 830! Woohoo! We can sleep until 7! Anyone else running this race? This is rated as one of the Top 10ks in the country so I knew I wanted to do it. A colleague at work had told me about it last year and I was definitely interested in it so when Mallory told me she was running it, I was all in! Here is Mallory's recap! The night before we had a nice dinner at a cute Italian restaurant across the street from the hotel. It was so nice to walk to and from dinner and we even had a glass of wine! We headed back and were asleep by 10:00 for a 5:50 wake up call. Got up and I was feeling good and positive. According to my fitbit, I slept 7 hours and 42 minutes! That's a new record for me. I was also very positive today was going to be my day, I would PR! Got dressed, made a quick cup of tea and peanut butter sandwich and off to catch the shuttle. It was so nice to have a shuttle and so relaxing. We got off and walked over to bag check, bathroom break and up to the starting line. It was the most interesting course start I have ever seen. As we walked up the hill (on a residential street nonetheless) we heard the national anthem and then someone screaming to move. the half marathon people were coming TOWARDS us. People were shocked by this as was I but it was nice to see them off. We had about a 25 minute wait until we started. It was getting warm so I took off my long sleeve shirts and was debating if wearing pants were the best choice but not much more I could do now! I double tied it around my waist so it couldnt fall. We had a good DJ. I am still shocked that they let there be a DJ and announcer on a residential street before the race. It was 7:30 and wave 1 took off and then 1 minute later, we did! I knew I wanted to try my hardest to PR (even though I knew there were lots of hills and the announcer even said this is not the race to PR) so I ran 2:10/30 seconds (thank goodness I tested this interval this week). OFF WE WENT! downhill-woo-hoo! I tried my hardest to stay steady and not go out too fast like everyone around me was. I was ready to run my race and I knew to get those hills between mile 4 and 5, i would need to be slow. I decided my motto for the race would be "conceal dont feel" as Elsa says. Conceal my speed for a bit, don't feel the need to go out to hard or fast. Mile 1 was pretty flat, and we headed back into the mountains and parks for 2 and 3. it was insanely gorgeous but also really dangerous as there were cars everywhere. we had one small water stop with 5 volunteers that got crowded quickly but did the trick. I was checking my mile splits at every mile marker and was hitting 11:20, 11:03 and then I DONT KNOW FOR THE THIRD MILE BECAUSE MY IPOD RESET. i was calm and just reset it for a 5k knowing i had done 34 minutes. yeah, i need a garmin (and to take my ipod to the genius bar!). After that we got to mile 4 and i knew it was do or die. the mile with the hills and magically let it go came on! i listened to it twice in a row and i knew it was what i needed for the hills. And were the hills ever tough! i decided i would go up as much as I could, and then walk briskly and then run the downhills regardless of interval. and it worked-i was flying past people (including the people with strollers! that was insanity to watch). at one point A CAR WAS LEAVING. i knew i had to pass it as we were about to hit mile 5 and the water station and i did not want ot get stuck behind it. the car eventually left and it was pretty downhill from there. i was pretty tired from hills so I walked a bit more to recover here. i knew my time was good and I was going to PR! i heard the 1K warning and knew the PR was mine. i had to remember to take good walk breaks to not burn out and to hold back the tears. I waved at all the people outside their houses (the kids were so cute!) and headed back towards agoura hills high school where the finish line was. we hit gravel and I knew i needed ot be careful but then it would all be downhill from there. I could feel it on the downhill, i felt GREAT and could give it a bit more so I was going. i decided to insert a final 10 second walk break because you never know. We turned and saw the finish line (in the grass-kinda weird) and that was it. I GUNNED IT (I know you arent supposed to do this but I have never had the opportunity and felt great) and was behind happy to cross. i saw the finish line clock said 1:08! I COULDN'T BELIEVE IT! I didnt know what time i crossed but soon found out I PRed with 1:07:09 and I could not be prouder. my goal was 1:09 the whole time and i was so happy! I worked so hard on this and was so excited to be able to celebrate. Considering the killer hills-it was a huge accomplishment! I waited for Mallory and we headed to the After Party and it was EPIC! When I got home, I did laundry, prepped dinner and caught up on magazines. and of course I watched Frozen as Elsa was my girl of the day! Tomorrow I will post about the after party as it was EPIC! How do you celebrate after a PR? Awful pic but I'm SO excited I PRed! I couldn't believe it!